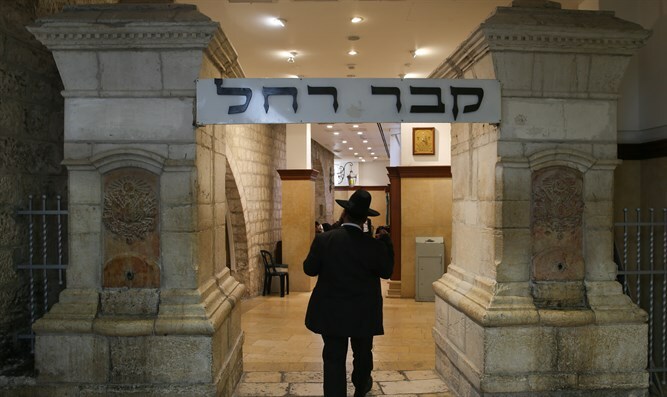 The PX Commission of the Executive Board of UNESCO adopted on Wednesday resolutions which say that the Tomb of the Patriarchs in Hevron and Rachel’s Tomb in Bethlehem are "an integral part of the Occupied Palestinian territory." The resolutions also condemned Israel for building the security fence, carrying out excavations in eastern Jerusalem, and for "other measures aimed at altering the character, status and demographic composition of the Occupied Palestinian territory." They also assert that Israel destroyed Palestinian schools, including in the illegal Bedouin outpost Khan al-Ahmar. The resolutions were submitted by Egypt, Jordan, Lebanon, Morocco, Oman, Qatar and Sudan, and were approved several minutes after the beginning of the commission’s meeting. The committee includes the 59 members of UNESCO’s Executive Board. Over a year ago, UNESCO's World Heritage Committee declared that the old city of Hevron and the Tomb of the Patriarchs were "Palestinian” heritage sites. In 2010, a report by the organization branded the Tomb of Rachel a mosque. Israel announced in December that it intended to withdraw from UNESCO, after the US made a similar announcement. The Director General of UNESCO, Audrey Azoulay, is trying to act to prevent the withdrawal of the two countries. “This is further evidence, for anyone who did not understand why the United States and Israel withdrew from UNESCO, that again proves that UNESCO is a body based on lies and biases, and is deliberately acting against us," said Danon. "The State of Israel will not be a member of an organization that is trying to rewrite history and willing to be manipulated by our enemies."